Another interesting update concerning #Amazon. Do you think eCommerce giant should be able to compete with their own sellers? 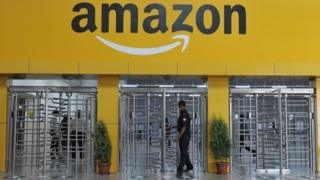 "India has introduced a new rule prohibiting e-commerce platforms from selling their own goods on the platform. The idea is you can either run the marketplace, or sell your goods on the marketplace, but not both. I didn't even know that this happening now? Good for India to make this illegal. Which other marketplaces compete with their own sellers? What about Etsy? Good question about Etsy, Sarah! I am not sure. Does anyone know? I didn't know that about Amazon either. They don't seem to care about their sellers much if they choose to compete with them. I found this article about Germany launching an investigation because sellers claimed that Amazon abused its power.